Seven of Forbes’ world’s 20 richest pastors are – drum roll – Nigerians! The bottom three of the Forbes’ richest in the world of religion as entrepreneurship – are worth – a measly $10 million EACH. Poor guys! Are Nigerians the most godly people in the world? Are they people you can trust the most? 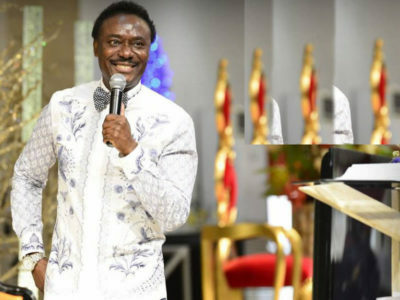 Are Nigerian pastors men & women you can hold up as role models? Are Nigerian churches “business centers” where poor people lose the little they have to sweet-talking, prosperity-preachers who impoverish them even more? These are all questions that all beg for answers as “christian” churches, perhaps most of which are run like cults, continue to grow in Nigeria. There are three “poorest” of the world’s richest 20 pastors tied for the last position in a group that most would envy. 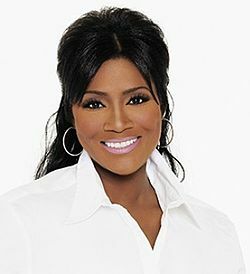 At the bottom of the list where he ties with “former hairdresser” [now] “woman of a god”, Juanita Bynum of good old USA and Matthew Ashimolowo, is Chris Okotie whose wealth is a miserly $10 million. Somewhere between the 10-millionaires and the billionaire is South African Irene Tshifhiwa whose fortune is estimated by Forbes at $35 million. 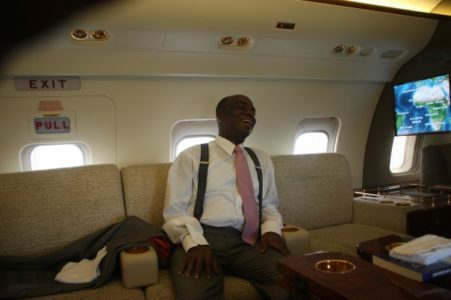 Inside one of his jets, Oyedepo in ebullient mood. Oyakilome’s $50 million is middle class Nigerian pastor in comparison to the kings of Nigeria’s entrepreneurial church founders: Oritsejafor – $120 million; (Number 6) Adeboye – $130 million and (Number 5) Oyedepo – $150 million. All the above are chicken change when compared to the fortunes of the likes of Pat Robertson, the American conservative whose $500 million wealth, Kenneth Copeland – $760 million and Eric Macedo of Brazil whose $1.1 billion is definitely a lot of dough for doing “God’s work”. Isn’t it strange that of all the millionaires and billionaire listed here, there is no “pastor” from Europe, the lands where Christianity first flourished and was propagated to Africa and Brazil? 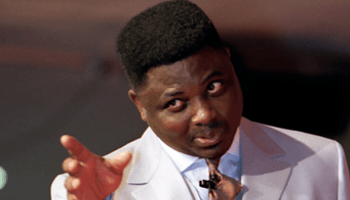 Uh-oh, pardon me, there’s Ashimolowo [Àṣímọ́lowó] who may be a Nigerian but he struts his evangelical stuff in England where he runs a Pentecostal Church reputed to be the largest congregation in the UK. Not bad for a young man who at 20, converted to Christianity! Oh well, who says Nigeria is hostile to business? At least we have one flourishing industry to point to. These guys don’t bother me much anymore, I know I am not going to ever put my hard earned money in their bucket – one day our people will wake up. How are you? Thanks for this. Yes, one just keeps wondering … hoping that the time for “waking up” would soon arrive but it’s sad to say things are looking more and more grim. Actually, it seems the harsher the economic situation in Nigeria, the more “our people” follow these prosperity [for themselves] preachers. ‘the more “our people” follow these prosperity [for themselves] preachers.’ – that is the design and it works. People are persuaded to let go of the little they have for a bigger heavenly reward. Dear Folakemi, How right, but how cruel the practice of religion as entrepreneurship; what never stops to baffle me is why the followers cannot wonder why their “pastors” does not wait for later rewards! Along the line of your thoughts on how every government’s relationship to the poor and the rich, I came to an eerie conclusion a long time ago about the social/political set-up in Nigeria: the church and the state – as they were long ago – have become almost conjoined with the exception of perhaps the Catholic Church. Their leaderships work seem to operate in tandem to “squeeze” the poor through an unholy alliance. As a former Eastern State governor put it, something like … Knights and criminals are sitting in front row in churches. looks like I should dust off my Bible and head on over to Lagos! I’m not sure that would be a good idea, Dear Bro! The Nigerians of the Pastoral Brotherhood possess a gift of the garb inherent in such men of God that even the Pope never claims to have: prophesy, healing a la our Savior, Jesus Christ, ability to even lengthen mortals’ lives through their “prayers”/magic, et cetera. I’d suggest a man of few words with very good cameras and an eye for good imagery stick to photography! Stick with your Bible for the purposes passed down by Mama and Baba. You won’t last as a pastor, at least not in Nigeria where the tribe of “men of Nigeria’s god” dole out on daily basis promises of better lives here on earth that keep the followers, already battered into poverty by Nigeria’s men of lesser gods – politicians – coming/going to them.